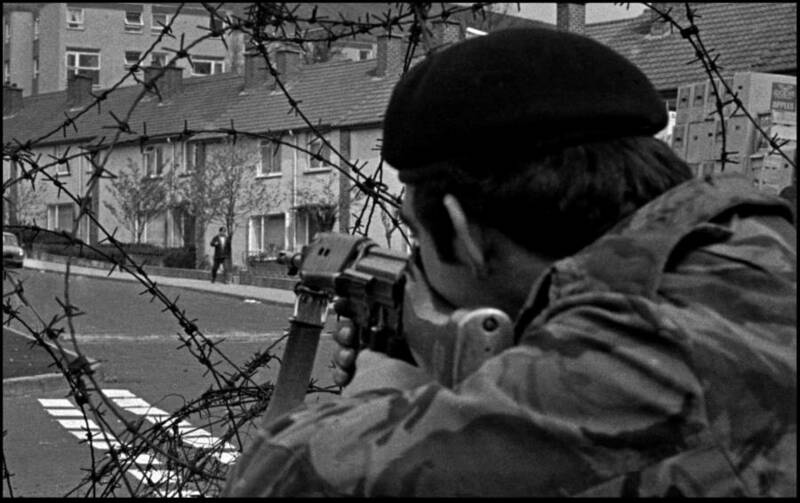 As buildings burn, British Army troops patrol the streets after being deployed to end the Battle of the Bogside in Derry on August 15, 1969. A dead victim's blood stains the pavement near the Rossville Flats in Londonderry following the Bloody Sunday killings on January 30, 1972. Flames rage in East Belfast during a street celebration of the fall of the power-sharing government between loyalists and nationalists in Ulster. 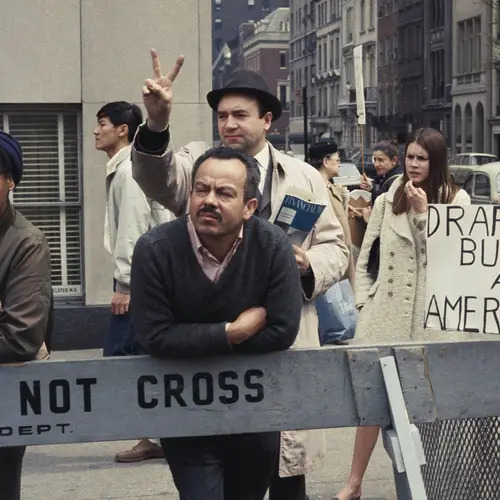 May 28, 1974. 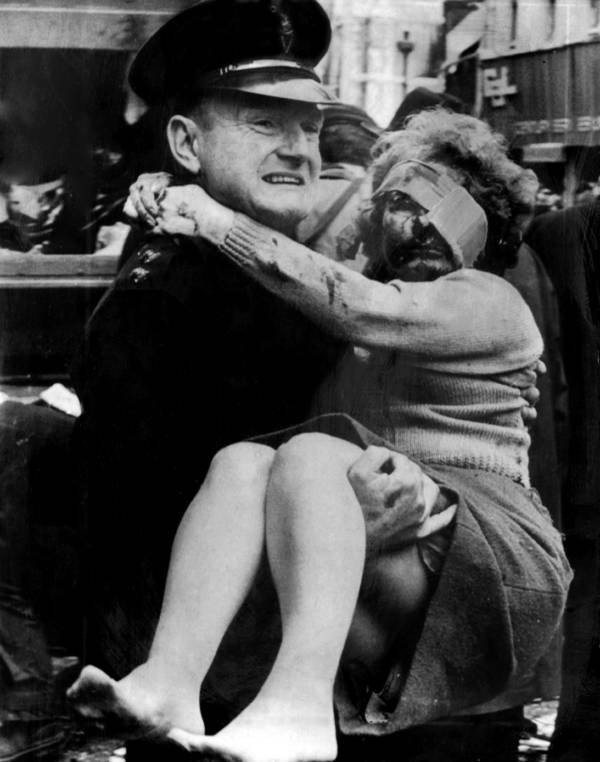 "I remember the white flash," Noel Downey later told the Belfast Telegraph of his experience surviving an IRA car bombing in 1990. "I got out of the car and attempted to walk. I kept falling, falling down and falling down. I couldn't understand why... It was only later I realised why. My left leg was gone... 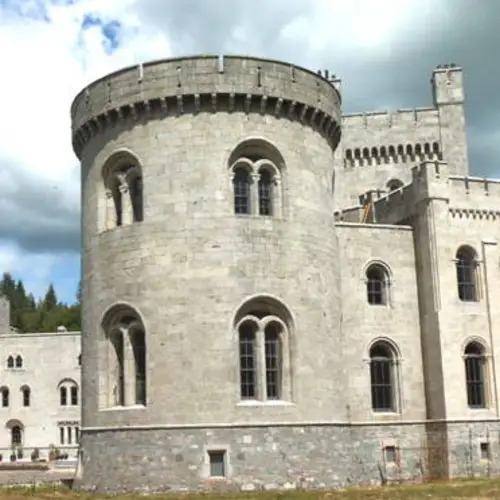 It was lying in the back seat of the car." 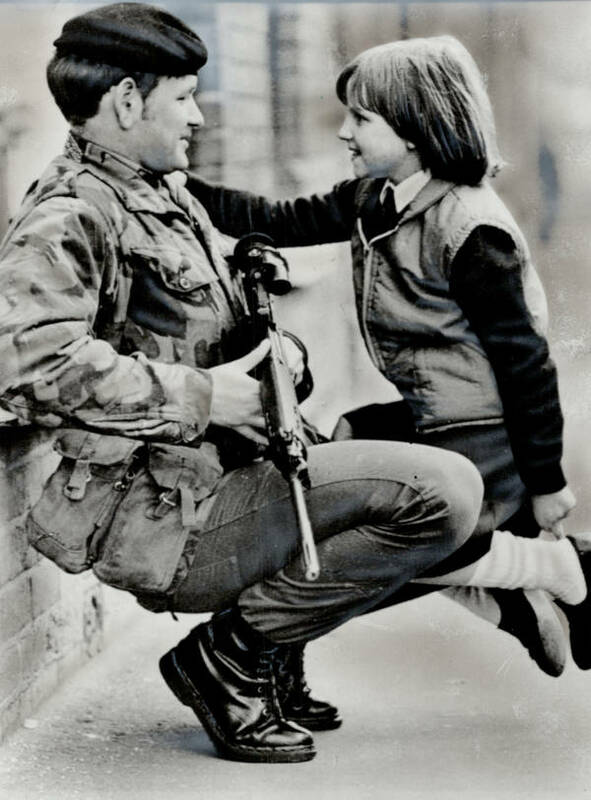 For nearly 30 years between the late 1960s and late 1990s, scenes like these played out all across Northern Ireland and the United Kingdom in what was among the most bitter and protracted sectarian conflicts in modern history. 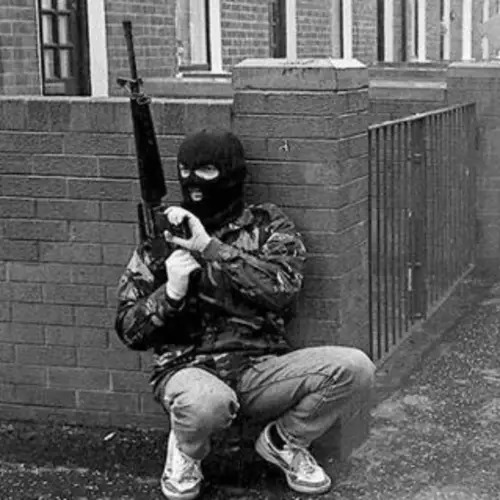 Known as The Troubles, the conflict pitted Nothern Ireland's republican nationalists — a largely Catholic faction seeking to break free from British rule and instead unite with the Republic of Ireland — against the predominantly Protestant unionists/loyalists who sought to keep Northern Ireland within the United Kingdom. 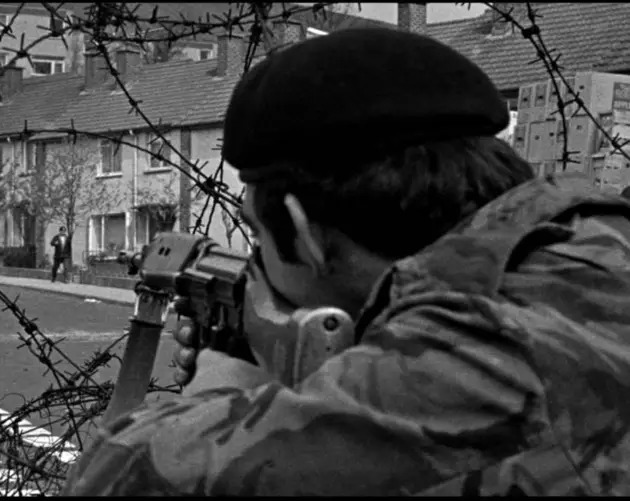 While this battle's true roots stretch all the way back to territorial fighting in the early 17th century, most historians agree that the proximate cause of The Troubles was either the October 1968 civil rights march in Derry — at which police beat more than 100 protesters of largely Catholic/republican sympathies — or the Battle of the Bogside the following August. 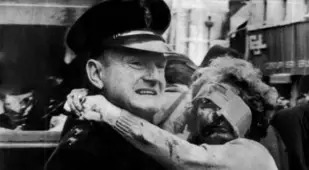 This battle, also in Derry, erupted after a pro-Protestant/unionist parade on August 12 upset the local Catholic/nationalist majority, causing widespread rioting and violence throughout the city for days. 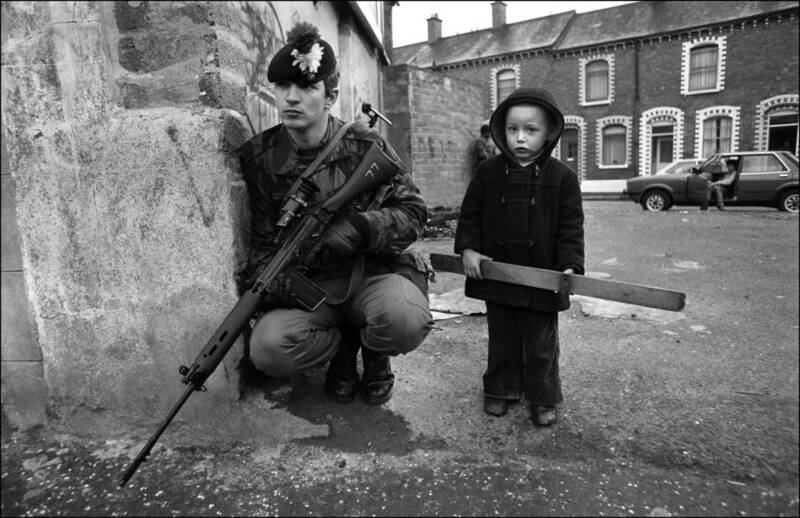 On August 14, British troops descended upon Northern Ireland and the groundwork for three decades of violence had been laid. 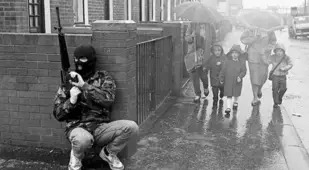 Throughout the 1970s, 1980s, and 1990s, nationalist groups like the Irish Republican Army (IRA) on one side and unionist groups like the Ulster Volunteer Force on the other carried out assassinations, arson, and especially bombings, much like the one that took Noel Downey's leg in 1990. 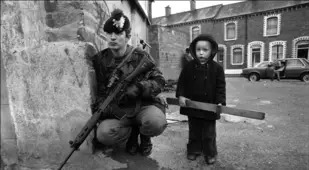 This kind of violence largely, though not completely, came to an end with the Good Friday Agreement in 1998, a truce that kept Northern Ireland within the United Kingdom but made a number of political concessions in favor of the nationalist faction. 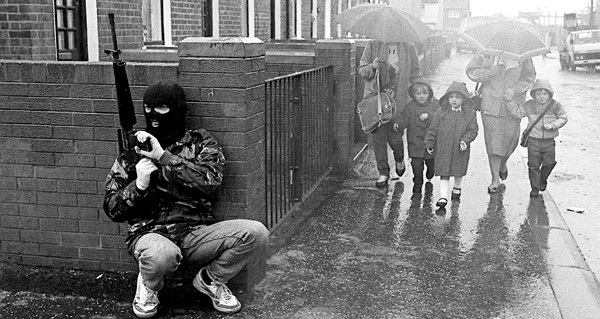 However, over the 30 years prior to the agreement, Northern Ireland was a veritable war zone, the likes of which can only be hinted at by the harrowing photos above. Next, delve even further into the history of The Troubles. Then, see what life looks like on the front lines of the bitter sectarian conflict between Israel and Palestine.